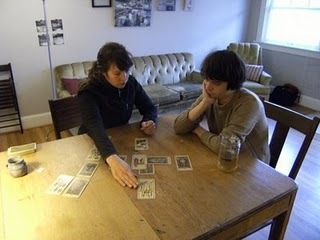 As a tarot reader, I do private readings in a variety of public spaces. I call the tarot readings I do in public spaces my “residencies”. Meeting me at one of my residencies is a fantastic opportunity to get to know me as a tarot reader. * Please confirm reader availability via social media. Are you ready to try something fun and unique at your next party? Hire me to read tarot cards to entertain your guests! I am available to read tarot at private parties for: Halloween, New Year’s Eve, Winter Solstice, dinner parties, birthdays, baby showers, bachelorette parties–you name the occasion. Looking for a gorgeous space for your event? Ask me about a tarot party in the private event space at Corkscrew Wine Bar. * Special rates apply for major events on location, specific holidays (as well as key holiday weekends) and use of an event space. ** A gas mileage fee is added for destinations over 10 miles. Or you can fill out the contact form below when you are ready to talk about the details for your special party. I take payments made by cash or check. If you are looking for a private tarot reading you should check out the BUY A READING page. If you are interested in reading about what others have to say about my services you should check out the PRAISE page.